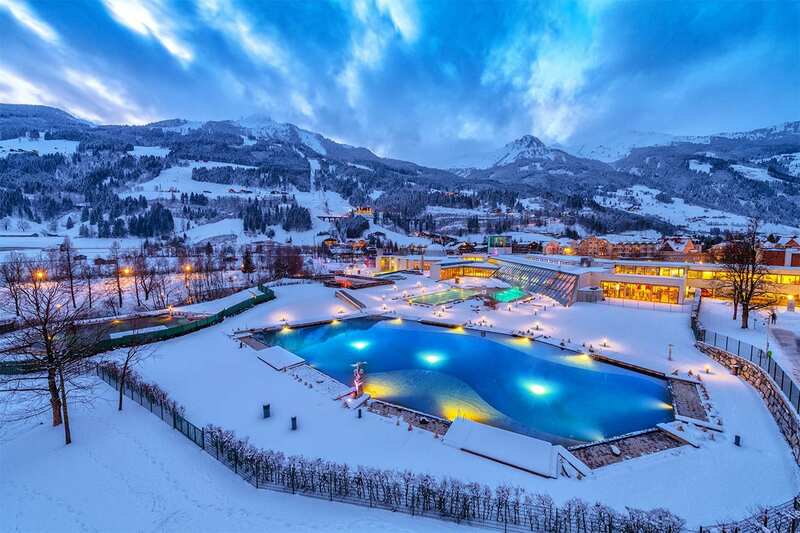 The Gastein Valley is well-known over the borders of Salzburg for its relaxing spas and healthy thermal spa water. 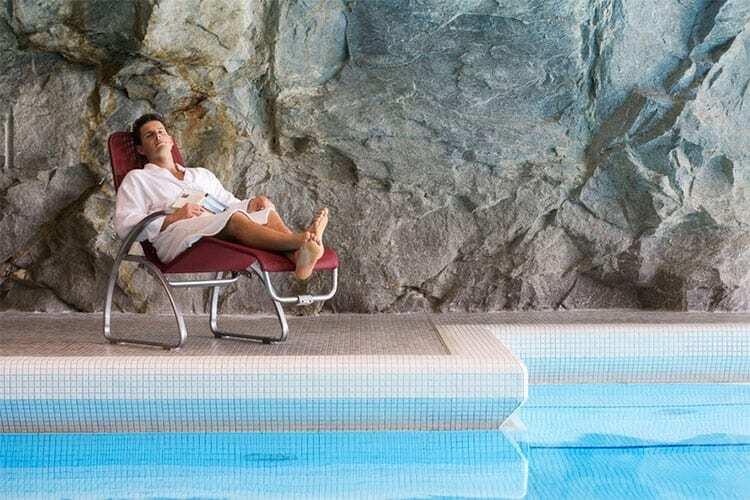 Treat yourself to relaxing hours in the Alpentherme Gastein in Bad Hofgastein and the Felsentherme Bad Gastein. Here you'll find relaxaing and swimming fun for all ages: indoor & outdoor spa water pools, water slides, sauna areas etc. 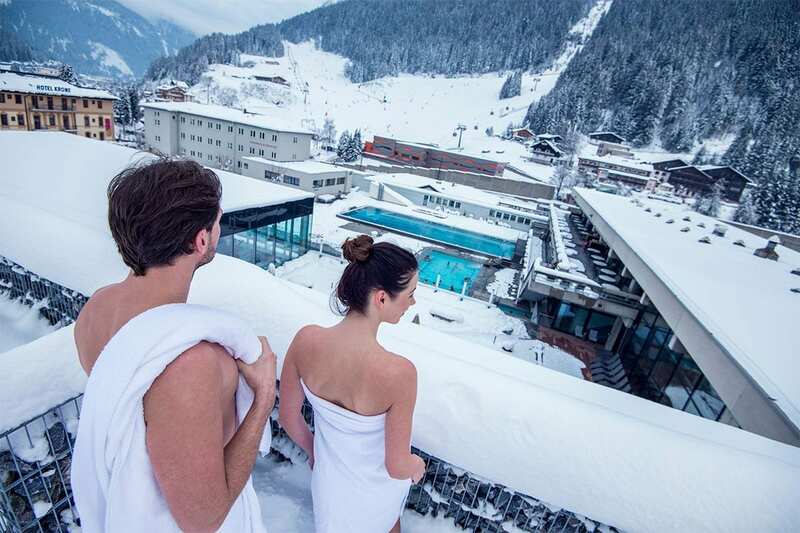 With your guest card, the Gastein Card, you can visit both spas at a discounted rate. As partner of the Alpentherme you receive additional discounts. The Alpentherme is easily accessible for our guests, as it is located just 2.2 km away from the Maurachgut Organic Farm - perfect for your spa holiday in Gastein in Salzburger Land. 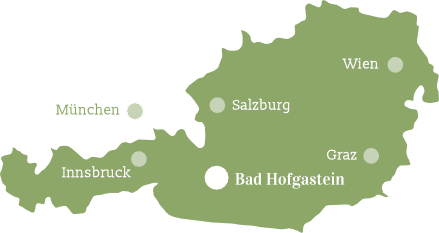 The Gastein Valley counts amongs the Alpine Health Regions in Salzburger Land and with its Gastein Healing Caves offers the ideal prerequisite fir your health spa break. 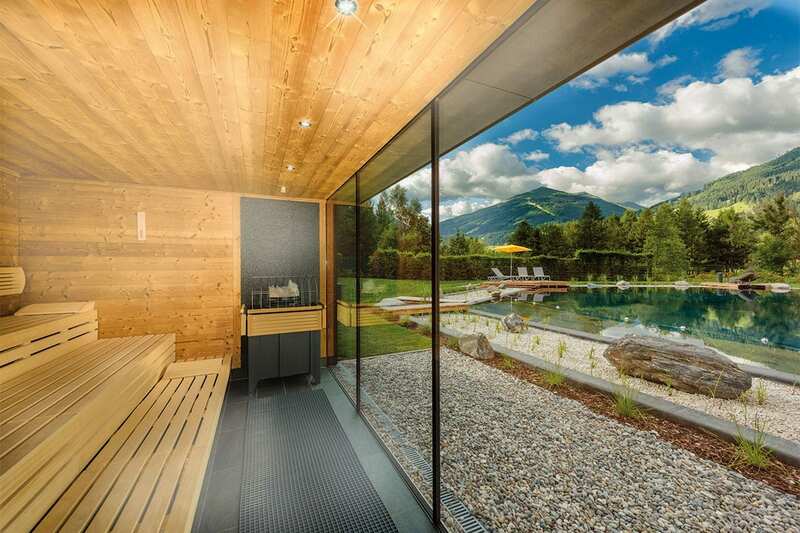 Sauna World: modern sauna village with swiss pine, coloured light sauna, steam room etc. indoor/outdoor areas. Sauna area with saunas, steam room, infra-red cabin sauna, salt grotto, cave sauna etc. Gastein thermal spa water is 46 °C hot when it hits the Earth's surface. With its natural mineral content and the noble gas Radon it activaes the body's self-healing powers. The postive effect of radon as a natural pain killer has been proven in a number of studies. Feel the healing power of the 4 elements – these can be found in the fresh mountain air, the powerful mountain ranges, the clear mountain lakes and the glorious sunshine. 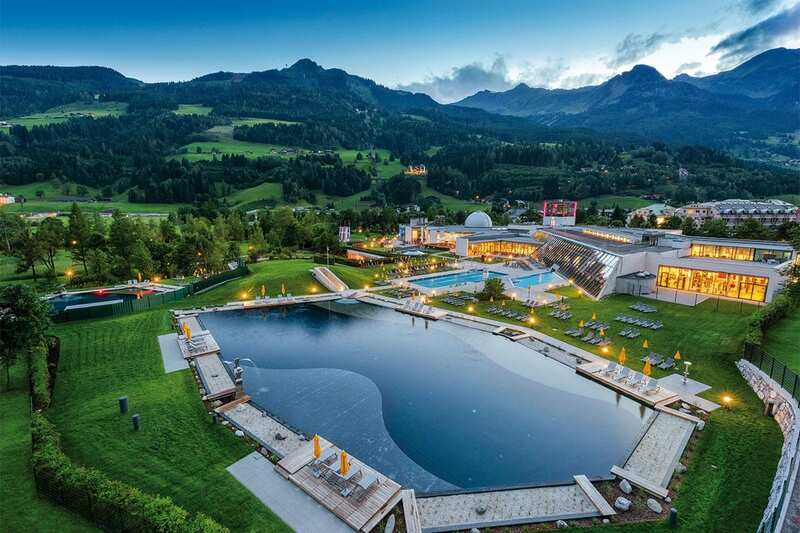 Water, air, earth and fire unfold their special healing powers in the thermal spas and healing caves, during Kneipp water treading courses or in the fine mist of a waterfall. Even the view of intact, unspoilt nature alone does our soul good and increases our well-being. Powers of concentration are boosted, our pulse levels out, stress and blood pressure sink. A higher amunt of hormones and neurotransmitters are released creating a feeling of happiness and contentment. Hiking in the mountains is a real fountain of youth for body and soul plus pure pleasure for all your senses. The quiet and steady movement in nature trains the whole organism in a gentle way and can ease many lifestyle diseases. Hiking a t high altitude decelerates and allows you to consciously breathe deeply. Mountain hiking offers plenty of variety too, opens out net new views and insights, which can be intensively experienced by the slow pace of hiking. In the mountains we not only breathe in reduced-emission air, there is less pollen and there are no house dust mites. Air pressure and oxygen levels decrease - the organism adapts accordingly and optimizes its metabolic processes. The heart and circulatory system improves, as blood pressure and pulse are positvely influenced. When you stay longer at an altitude of 1,000 m metres choloesterol and blood sugar levels sink. The warm mountain air in combination with radon in the Gastein Healing caves eases chronic pain. The combination of water and warmth in form or thermal spa water in the Gastein themal spas allows us to really relax. There are a number of thermal spa water drinking fountains in Bad Hofgastein. The air in the forest is relatively dust-free - the concentration of dust particles is just 1 to 10 % of that in the cities. Teroenes, gaseous substances, have a very beneficial effect on body and soul. They boost our immune system and ensure that more killer cells are produced in our blood. Spending time in the forest has a positive effect on blood pressure, depression and high stress hormone levels. Not only herbs, but also trees and bushesin teh mountains have enormous healing powers. Fruits from the bushes and the various herbs with their precious properties are pure vitamin wonders. Aromatic needles, earth and herbs, numerous brown and green tones, rustling treetops - all our senses are awakenend. Tip: don't miss our herb and nature hikes! We require sunlight to produce vitamin D. Without vitamin D our immune system does not function properly, we cannot process calcium, chronic diseases occur. Just 15 minutes a day are enough to produce the necessary amount.